DogGone Delightful Stampin': Terrific Tuesdays Weekly RoundUp! Stampin’ Up! 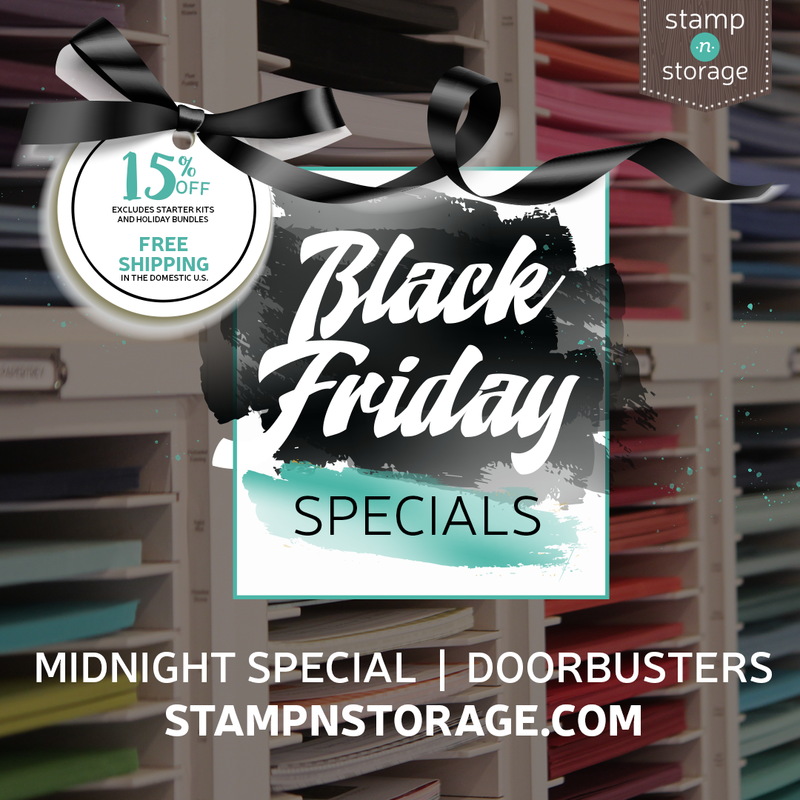 launched their NEW Storage by Stampin’ Up! line this week. More details below. I think the ink pad and Stampin’ Blends (and more) modules are a terrific option for small spaces, crafters with fewer supplies or organization on the go. See the possibilities in this video. Terrific Tuesdays Roundup . . . Coming Soon! More SAB Fun!! So much going on here at DDS Studios ~ and so much going on at Stampin' Up! It is the "most wonderful time of the year" after all at Stampin' Up! I Adore Sale-a-Bration! And I hope you do too!! We're about to get our 2nd Release of Sale-a-Bration products during this short window (time is flying! ), and I can hardly wait to share with you what is coming!! Even more exciting, this year Stampin' Up! is releasing special limited edition products to coordinate with your SAB stamp sets - for purchase only! They have never done this before, and you are going to LOVE, LOVE, LOVE what SU! has done!! with Qualifying Orders Starting February 15th! MUST-HAVE COORDINATION! Available for purchase March 1 – 31 (or while supplies last). Limited Release Sale-A-Bration Coordination products include dies and more designed to work beautifully with Sale-A-Bration FREE products. YOU'LL LOVE HOW THESE PRODUCTS WORK TOGETHER! Below, on the left side, I share the products you can earn with a qualifying order FREE during Sale-A-Bration. On the right side, I share the Sale-A-Bration Coordination products you can purchase in March. Sale-A-Bration 2nd Release products can be added NOW to your starter kit based on the prices listed below through Feb. 14. See 2nd release brochure and products Here. Terrific Tuesdays ~ Happy New Year! Welcome 2019! Happy New Year everyone! We're kicking off the new year here with our feet up and the Rose Bowl Parade on TV. I've got a wonderful cabbage and ham soup bubbling in the crock pot and I'm planning sour cream chicken enchiladas for later in the afternoon. It's so nice to have a final relaxing day before returning to our regular daily schedule. It has been so nice to have this 18-day break, even if it did go by way too quickly! I plan to return to work this week a little bit "slowly," working from home tomorrow and Thursday, and taking a vacation day on Friday. It's a "short" week, so it seems like a good opportunity to extend the break just a few more days! We are down to just about 36 hours before the 2018 Holiday Occasions Catalog is gone, gone, GONE!! Have you double-checked to make sure you have everything you want? Don't have regrets later! I have to admit, I did place an extra small order or two this past week for a stamp set and a couple other items that I decided I didn't want to miss out on! Take another look -- this catalog ends at midnight Mountain Time, tomorrow - January 2nd, 2019!! As we transition out the "old," in comes the New!! Did you receive your 2019 Spring Occasions Catalog yet?? If you would like a catalog, please contact me, and I'll get one in the mail to you right away!! This is a catalog NOT to be missed! The new products are absolutely gorgeous!! I have to confess, I've already purchased most of the catalog during our Pre-Order period!! It's kinda ugly actually!! LOL Shhhhhh, don't tell my new fiance!! LOL This catalog goes live at 3:00 am, Mountain Time. So get your Wish List ready!!! At Stampin' Up!, it isn't Christmas that's the "most wonderful time of the year"; it's Sale-a-Bration!! And we've reached that time again!! I'm so excited about Sale-a-Bration 2019!! You don't want to miss one thing . . . so check out ALL the details HERE. And get ready -- January 3rd, it all kicks off!! A new catalog means new products . . . and new products means lots and lots of wonderful new papers, ribbons and embellishments. Don't break the bank!! Participate in a DDS Product Share and experience it all for a fraction of the price!! Share groupings are open now -- Reserve your spot today!! Get all the Details HERE!! I hope you're ready for all the fun we're going to have this first quarter of 2019!! I'm excited to share with all of you!! Happy January! Happy 2019! !